The commercial painting industry is currently worth about $38 billion. Painters range in the quality of service they provide; many do not have licenses and are unqualified. Commercial and industrial painting require experienced painters and different materials. Painting companies or contractors should provide you with enough information to prove they can handle a project. Prepare to ask a set of questions. 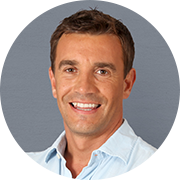 This shows that you are professional and also provides insight to exactly how the company works. Rushing to get the project done can lead to fines or even lawsuits. Try to meet the manager or estimator in person to go over details. Trying to communicate over emails or on the phone can lead to confusion or problems. There are more questions to ask a painter about rather than just "how much?" 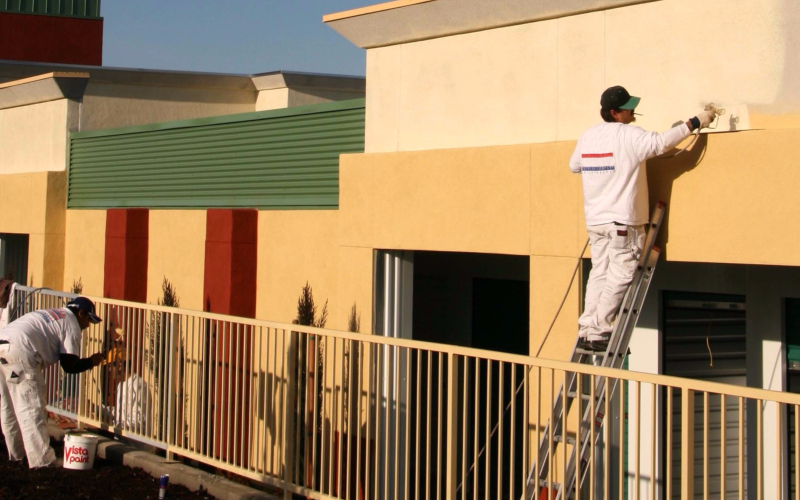 Here are the top 5 questions to ask before hiring a painter for commercial projects. 1. Do You Have Insurance or a License? The answer should be that the commercial painter has both. Insurance not only protects the contractors during the job but also you from being responsible for them. Call the insurance company and confirm that the insurance the contractor has is valid. Contractors typically possess state licenses, which are specific to each state. Licensing for contractors involves passing exams and meeting criteria to prove they are fit for a trade like painting. Without these insurances, the job could be dangerous and you could even receive fines. Start with some questions about the commercial painter or company's background. Find out how long they have been in business. If you use inexperienced painters for a job, you may have to have it redone. Choosing experienced painters first will save money in the long run. Ask how many projects they have completed in their time as painters. The fewer the units or projects, the more red flags will be raised as a warning to you. The materials used by a commercial painter will affect how it looks and how long it lasts. Asking what the grade of paint it will be essential in finding out exactly how many coats the application will need to have. Painters who have experience should know what colors look right and which do not. There are specialty paints and sealants for specific types of application that include high-priced quality ingredients. These ingredients help to avoid weathering and even graffiti marks. Some contractors will try to take advantage of you by claiming they are using high-quality materials. Do your research to know what they will be using before the job is completed. Other than the paint type and the coatings, there are other materials that should be vetted as well. Expensive materials don't always mean better. Yet the commercial painter should be well aware of the specific materials to use for the project. You may work with an estimator before the project begins to discuss the cost and details. Estimators usually do not work on the project themselves. A face-to-face interaction is a perfect time to ask questions. These details should be outlined in writing and signed by both parties. The biggest aspect of the project's manager will be communicating with you. It is important that you are kept in the loop about what is going on day-to-day, as well as any problems that arise. Complaints can be avoided with proper management. Companies build up reputations over the years, and commercial painters are no different. Do not be afraid to seek out reviews or references. Though the customers may not be listed by personal name, references may be listed by the company instead. See if there are testimonials from customers of the painter from past projects. Former customers will likely mention any problems they encountered, saving you from facing them yourself. Take note of the accolades that establishments have recognized the company or contractor for. Certifications like ones from the Better Business Bureau offer proof of quality work. Another question to ask about is a warranty. Warranties provide peace of mind for a set amount of time after the project is complete. Some companies claim lifetime warranties, which can be suspicious. One-year warranties are the most common. Warranties are perfect to help you judge the quality of the work after seasons have come and gone. We at Petrusse-Norris Painting Inc. have been in business in commercial and industrial painting for over 25 years. We are located in Fullerton, California, yet work in many different areas around Southern and Central California. No job is too big or too small here at Petrusse-Norris Painting. We offer competitive pricing and have an outstanding safety record. We also work with both excess general liability insurance & workers compensation insurance. Our project managers work closely with our experienced foremen to finish jobs safely, on-time, and within budget. We also offer a one-year satisfaction guarantee.